In the past three weeks, we've covered the floor-heating systems you'd need if you're working with tile, stone, hardwood, carpet*, laminate, vinyl and engineered hardwood. Believe it or not, there are just two systems — TempZone™ and Environ™ — that cover this range of flooring types! However, there's one more system you can select if you want to embed the heating element within freshly poured concrete. WarmlyYours' line of slab heating systems, which consists of mats and cable, is ideal for new-construction projects because the heating element must be installed within the concrete slab. 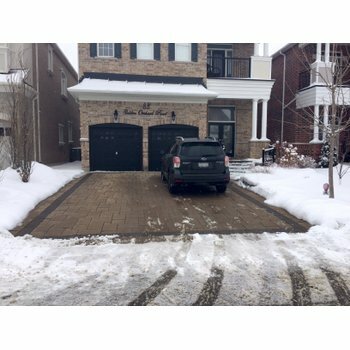 Thus, if you're building a new home and want to heat your soon-to-be basement floors, you'll want to purchase one of our slab heating systems. Furthermore, if you're putting an addition on your house, you can consider slab heating. Typically, our slab heating system is installed when a concrete slab is being poured for a new sunroom or garage, but it really can be used within any concrete slab, whether you want to feature a decorative concrete finish in the living room or place another flooring type over the slab. However, the final flooring surface you choose will determine the slab-heating product you'll need. 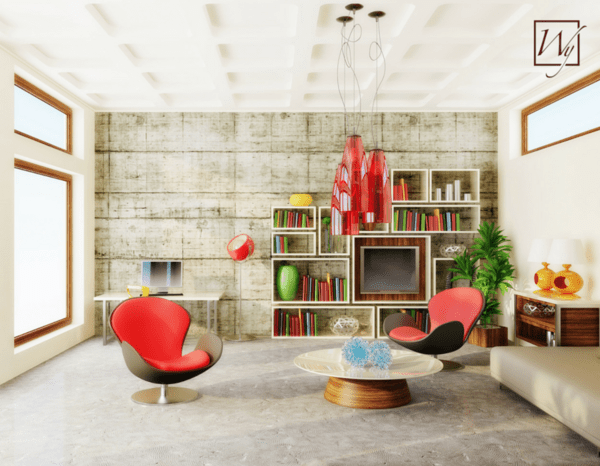 Concrete is typically used as the final surface in garages, basements and sunrooms. However, decorative concrete is gaining traction in living areas of slab-on-grade homes as well. 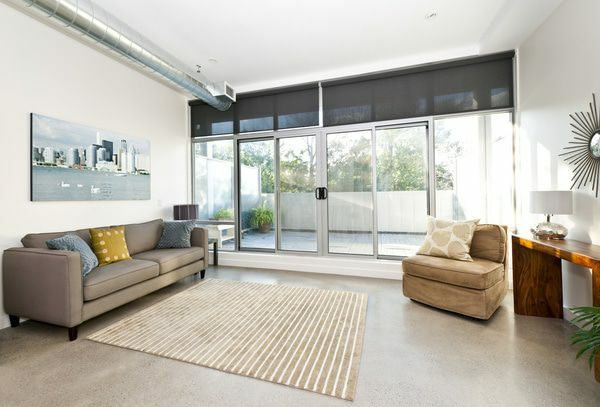 Polished, stamped or stained concrete floors create an industrial but stylish look in living areas. In any of these instances, a slab-heating mat would be the ideal floor-heating choice. Slab heating mats radiate an incredible 20 watts per square foot, which ensures that the concrete will never feel cold to the touch while the system is running. With this wattage, the systems can also be used as the primary heat source for a room; however, you should verify this by using the WarmlyYours Heat Loss Calculator. This tool will take your room's weaknesses into account in order to evaluate whether or not a slab-heating system is a fit as the room's primary heat source. The tool also shares the system's operating costs for the entire year as well as during the coldest month of the year. 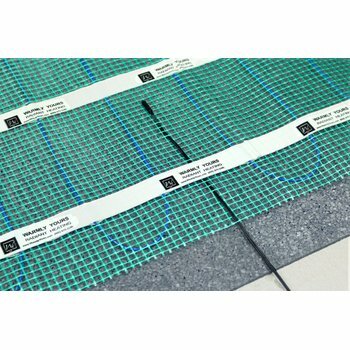 Slab heating mats feature a blue cable spaced 3 inches apart within black netting. This netting makes the system fast and easy to roll out and install, because it can be cut and turned to fit the room's dimensions. The netting also pairs well with the concrete — 1 ¼-inch square netting enables the concrete to filter through the netting without getting stuck. On the other hand, if you want to embed the heating element within concrete and then place another flooring surface over it, you would need to purchase slab-heating cable. When spaced 4 inches apart, the cable emits a lower watt density of 15 watts per square foot, which allows you to heat the slab without overheating the floor covering over it. The benefit of installing in-floor heating this way is that if you ever decide to replace the flooring, it won't affect your heating element. In other words, if you install carpet over your concrete slab embedded with slab-heating cable, and you decide you want to replace the carpet with engineered hardwood, the slab-heating cable will remain entirely unaffected because it's located within the slab. With some other floor-heating systems that are installed on top of the concrete slab and embedded in thinset, if you wanted to replace the flooring surface, the heating element would have to be replaced as well. Slab heating cable stays safe within the concrete. However, slab-heating cable doesn't have to be used with a floor covering. It can also be spaced 3 inches apart to heat concrete as the final surface. In this case, using slab-heating cable delivers the same wattage as a mat but offers increased layout flexibility for rooms of any shape or size. Both slab-heating mats and cables can be controlled by a normal room thermostat with a floor sensor. Regardless of the format you choose, it's recommended that a concrete contractor or electrician install the floor-heating system. 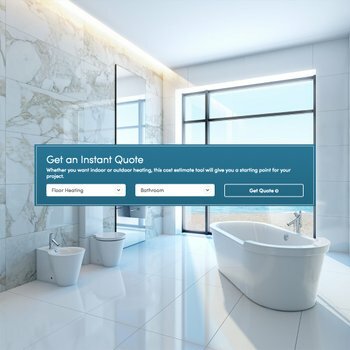 Before you can dive into installation, though, you'll need to get a quote for your slab-heating system by checking out the Instant Quote tool on www.warmlyyours.com. This tool will provide you with the products needed and their cost so that you can get your project started. You can also contact your account manager at 800-875-5285 to get a custom installation plan. *WarmlyYours' Environ™ floor-heating system is only UL listed for carpet in the United States. Previous Post What Does Radiant Floor Heating Cost in a Living Room?